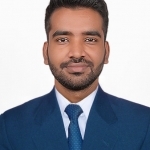 Mohit Pandey from Varanasi, B.Com Graduate. Mohit Pandey is Digital Maketing and currently have no work experience. DIGITAL MARKETING NGO WORK NCFM EVENT MANAGEMENT INT..
are one of expert skill area's of Mohit Pandey . Mohit Pandey is working in Sales Marketing industry.